Intelligence Bureau (IB) announced Security Assistant/ Executive vacancy posts for the 2018 year, the listed posts information were given below and candidates have to check the complete IB Recruitment notification details and Ib Exam date 2018. 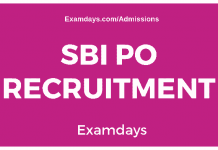 Intelligence Bureau (IB) Security Assistant/ Executive vacancy Posts syllabus is updated as per 2018 rules and regulations from MHA Ministry, the IB Syllabus was available in below updated format, those who applied for the Security and Executive posts can note down the complete IB Syllabus 2018 as per post wise. 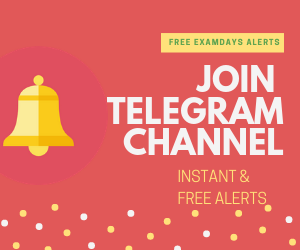 The Intelligence Bureau examination to be conducted likely in the month of February 2019 (05.02.2019), the official IB exam date was not confirmed yet. Those who applied for IB Examination of above posts can check this page regularly for Ib Exam date 2018. The IB Security and Executive posts have a selection process in three phases as per below instructions. Phase#2: Descriptive Examination 2018: Descriptive type: The questions in objective tests, except for the test of General English, will be bilingual i.e, English &Hindi. Translation of a passage of 500 words from local language/ dialect to English and vice versa. if candidates have any questions regarding the MHA IB Exam date can comment below with valid questions, our team member will assist asap.